You will need the React Native CLI installed on your machine. While building applications, authentication is usually a very important aspect because this is how you identify every user and it can sometimes be tedious. This problem is what Authentication Service Providers solve. They provide authentication and user management services for applications and sometimes easily configurable functionalities such as the login, log out, social media integration and they support authentication protocols such as OpenID Connect and SMAL. Okta recently gained Stormpath and a couple of things have changed. Stormpath API was shut down fully in August 2017. 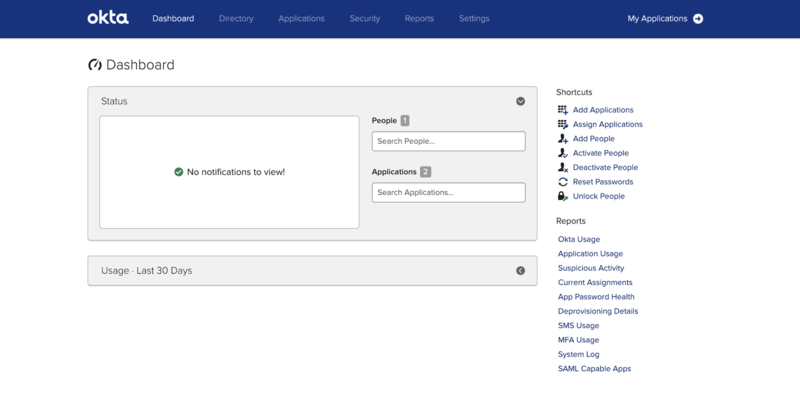 Okta is a third party authentication provider that adds authentication, authorization, and user management to your web or mobile app within minutes. Okta provides token authentication, single sign-on, multi-factor authentication, and social logins. 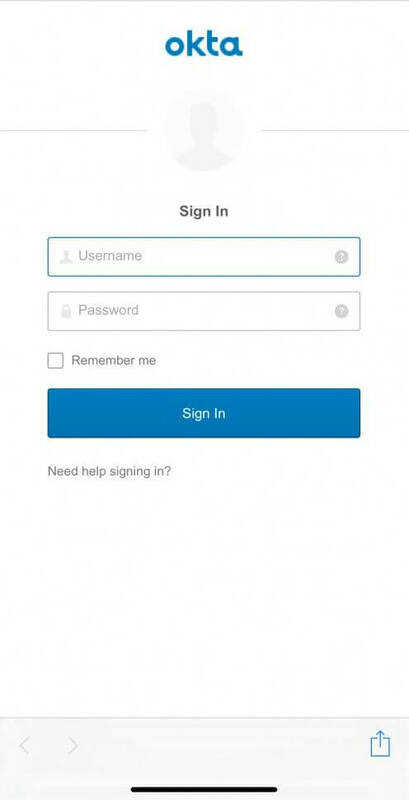 To get started with using Okta, create an account on the registration page and if you’ve already got an account, log in. After login, see a screen similar to this. Replace developer in the redirect URI with your Okta account company name and then save. You will need the ClientID and the redirect_uri when setting up our React Native app. Navigate to the iOS folder. Run pod install. If you encounter any error, run pod repo update. If there are no errors, open the react_native_okta_app.xcworkspace and edit the AppDelegate.h file. We also need to add appAuthRedirectScheme to the defaultConfig section. We’ll split our application into components. to get started, we need to install styled-components in order to style our application. We also need a background image for our application. Save your image of choice in a folder called assets. I will be using the stock image available here. The components created above, are all exported and can be accessed in our app.js file. We need to create our authorize function to enable users to log in and also create functions to refresh our authentication token or revoke it. 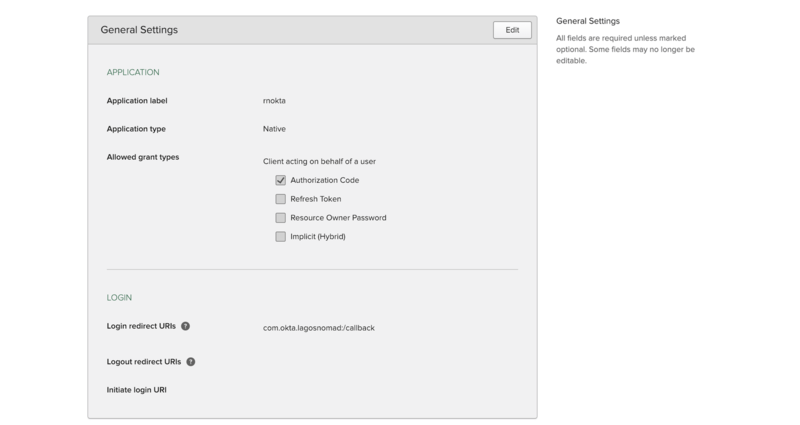 In the authorize method, we pass the config object and try to fetch the access token, access token expiration date, and if there are errors, we'll send alert the user with a pop-up. In the refresh method, we pass the config object and try to refresh the token. When an authentication token is refreshed, the expiration date is also refreshed alongside. The revoke method deactivates a token. This means that the user will be required to log in again or refresh the token to get a new token. To finally wrap up the code, when a user opens our application, we first need to check if the user has been logged in, before deciding what to render. If the user has logged in before, we display the token and expiration date, else a button for the user to authenticate from. 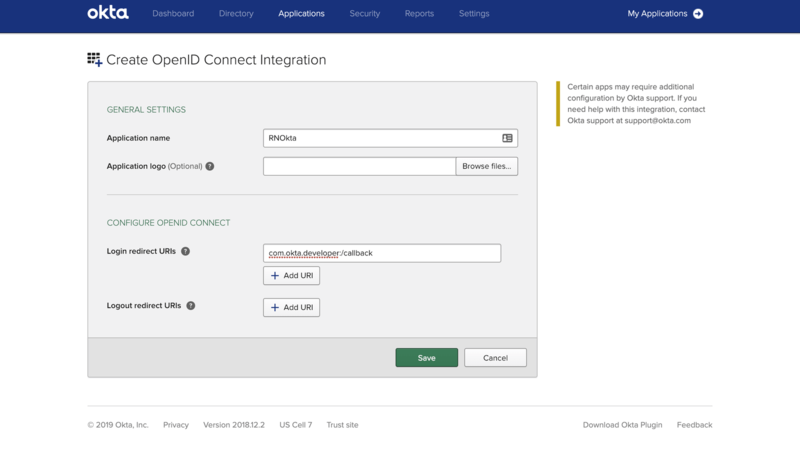 After receiving the access token, it can be used to send requests to your Okta based API to authenticate with clients. With third-party authentication, we can easily build authentication into our applications and save time rather than build our own authentication system from scratch for every application every time. The code base to this tutorial is available in a public GitHub Repository. Feel free to experiment around with it.